I am so glad its Friday! It's a 3 day weekend for me and boy do I need the extra day to unwind. 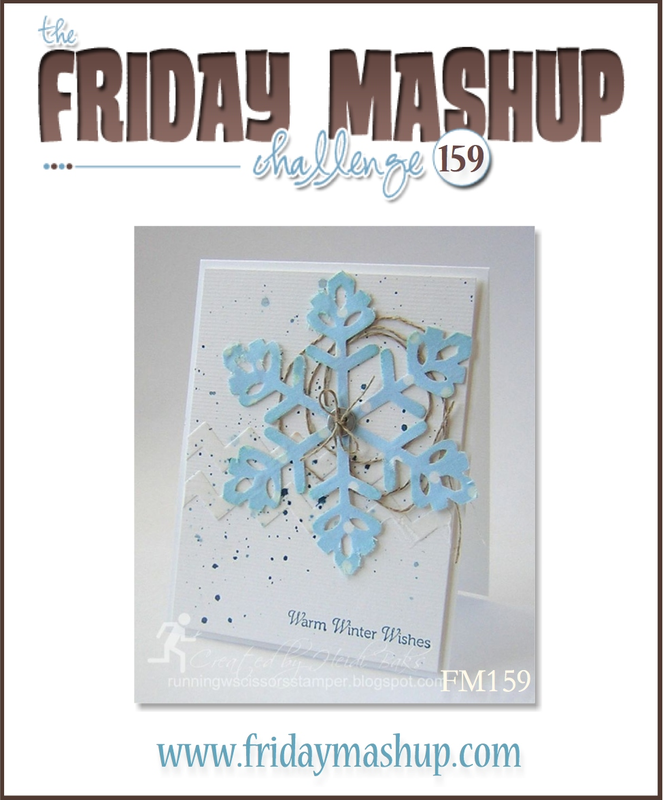 What better way to start my vacation day than with a Friday Mashup challenge! Heidi is our hostess this week and she would like us to use stencils on our projects, plus use a SU set that is going to be retiring soon. If you don't use SU that's ok too, just pull out a stamp you haven't used in a while! The stencil part threw me for a bit. I went hunting through my craft stash to see if I had any and I found one with dots that I had won in a giveaway last year. I looked through Pinterest, watched some videos on YouTube and just tried to get an idea of how to use the stencil. Since I didn't have any of the mediums that a lot of people used I just grabbed some sponges, taped down the stencil over my paper and started inking away. I originally did it on watercolor paper but I just didn't like the way it came out so I started over on Whisper White. I used Daffodil Delight and Old Olive for the circles stenciled in the background. The retired set I used is Friendship Preserves. I really like this set and am sad to see it retiring but I use retired sets all the time so it will still get some love! I seemed to be sharing brain waves with a fellow DT member, Lynda, this week. Make sure you check out her card, as well as the other DT members at The Friday Mashup! Create a project using "Stencils". Create a project with a "Retiring Stamp". Or Mash it up and create a project with " a Stencil and a Retiring Stamp". I really like the way you made the polka dotted background! It's a Christmas Cross Over!